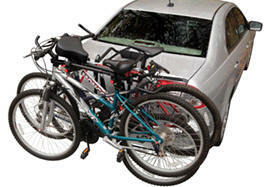 Traditional, sport, mountain, racing, men's and women's; no matter the type or style of the bike being transported. 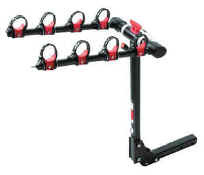 Draw-Tite offers a wide variety of bike carriers to fit your needs. Designed with stylish function, these carriers have everything you would expect from an industry leader. 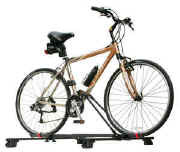 This rugged economy model carries up to 2 bikes. 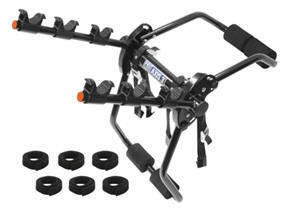 The ball mount foot allows for installation on Class I, II, or III hitches. NOTE: CANNOT be used with Class I Hitches. 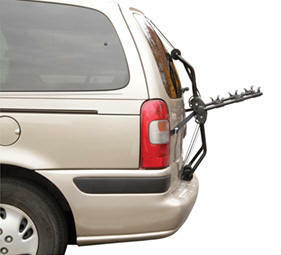 DO NOT USE THESE BIKE CARRIERS ON A TOW TRAILER OR 5TH WHEEL RV. 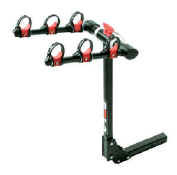 An optional telescope tube to enable level transportation of bicycles with a sloping crossbar.